Technically this was my Monday video, but I was really busy so I’m posting this late here. Please love me. Anyways, in honor of the release of Kresley Cole’s newest book, Arcana Rising, I wanted to talk about love triangles in YA that I actually didn’t hate. As you know, this is a very hard thing for me to admit, but it turns out that such love triangles DO exist in the world! HA! I out-read Michaela this week! …but it was mostly for my thesis, so that was sad. Anyways. There’s also a bunch of great content this week, including some great ARC reviews, hilarious videos and more! Do I need say anything else? Let’s go! Welcome to another segment of 30 Seconds to Disagree! 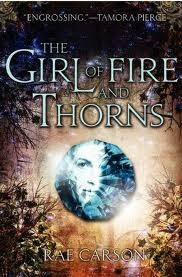 In this feature, I have 1 minute to recommend a book to Michaela–this week’s pick is The Girl of Fire and Thorns by Rae Carson–and then she has 30 second to disagree with why she wouldn’t want to read it. I get 30 more seconds to address those fears, and then it’s done! As always, we release two of these when we do them, one on my blog and one on Michaela’s blog. The one she’s released is absolutely hilarious and probably my favorite, so make sure you watch that one too! Goodreads Description: This is a world divided by blood – red or silver. Why it’s worth it: I cuss out tropes a lot. I hate them. I’m tired of seeing them on repeat. I didn’t pick up this book originally because I thought it sounded fairly same-same and also I’ve become extremely wary of hyped books. I added it to my “maybe get someday” list and let it sit there. 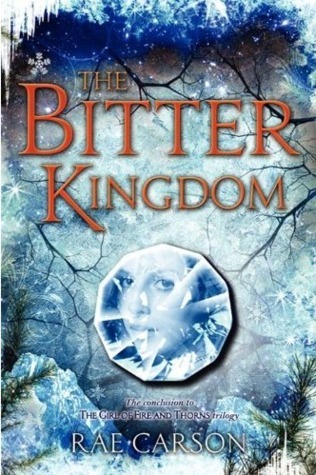 Then, when I taught high school writers over the summer, one of them–who loved Throne of Glass!–suggested that I read this one because it was a lot like that. I went out a few days later and bought it. I DID VERY MUCH LIKE. The world hooked me straight away, and for that I was very glad. It kept me reading when the book started to tumble into some of those books I so hate. (*coughlovetrianglecough*) But I kept reading, because Aveyard writes a really good story and from the inception the plot tackled some political realities that I hadn’t really seen. This book is just a trope subverter. That’s why I like it. I mean, sure, it covers all the basic bases like a well written story, thought out world building and characters I really like spending time with. All that is there, and all that on it’s own would make it a good book. What makes it a great book is that Aveyard knowingly sets up a plot that looks very similar to something I’ve seen a million times before and then in the final act BLOWS EVERYTHING UP WITH DYNAMITE. 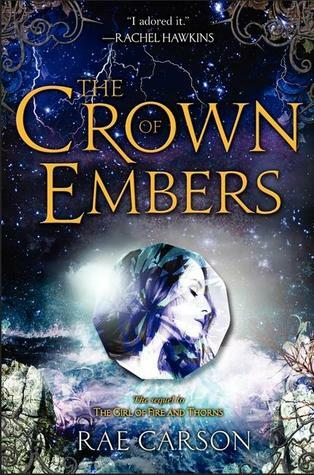 I haven’t been this blown away by a final act trope subversion since A Girl of Fire and Thorns by Rae Carson. Avoid the hype and read it. It’s worth it.